Back in November Erik and I performed at Hi/Lo when Micah Schnabel(Two Cow Garage) was in town. We had a good time and it turned out well. You can download it for FREE on band camp. It's been a weird up and down year for us. Continuing the down trend, our good friend MATT SMITH has chosen to exit this endevour of ours. It's been almost 7 years with him and our home base Hi/Lo. We wish him luck and hugs and a huge appreciation for having him be a part of all of this. On the up side, we are getting together as a 4 piece for the first time today and excited about where that will lead us. Our new record is still on the way. A quick regroup and we'll bang it out fast as we can. See you soon. Start to Stop from highWatermark Films on Vimeo. 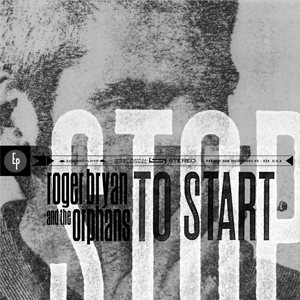 The new EP Stop To Start from Roger Bryan and the Orphans is now for sale. The EP is available on white or black 7" vinyl and digitally. 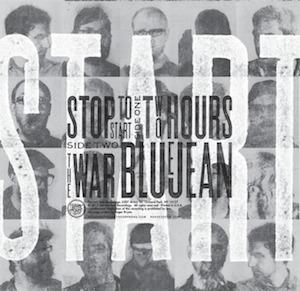 Both versions include a download with full artwork and lyrics and the Stop To Start short film. You will find links below to view the film and where to purchase. Thank you and enjoy the record!